From start to finish, we are committed because it's your day and it should reflect you! The best way for us to do that is to have our process, which gives our team the best ability to make your vision come true. Our staff of planners are eager to hear from you, learn more about your dream wedding in San Miguel de Allende, get to know the two of you as a couple and be a part of one of the most important days in your life. Whether you are a more traditional or edgy couple, we know your dream day is something you've thought about for a long time. That's why we want to know your style. The more we know about what you want, the more we can get a better sense of how our team can create your vision. From the right photographer to the perfect flowers to pair with your table settings, our full service event planning and design company is committed to making your dream a reality. So, before you pick up the phone or send us an email, please register on our site and fill out your wedding details. Once we get that, one of our planners will contact you for a free consultation. Like a great romance, our events start with a great story. That's why we want to know more about your and your big day. Have you always wanted a menu that reflects your cultural background? Are you wondering about what kind of DJ you want and where you'll find him? We don't just plan the details of your day, we also make sure we're there every step of the way. You won't find yourself stressing about finding the right photographer or flowers because we do it all, so you don't have to. But, we do need to know what you want. During the consultation, you will have the opportunity to tell us your story, and then sit back and watch us make it happen. As soon as we receive your contact information, we will set up a meeting (by phone or in person) for you to tell us more about your wedding day vision. We're also here to increase the joy and fun and keep things low stress for everyone involved. Like any good relationship, we believe the key to creating a wonderful event for you and your guests is about trust and commitment. Once we agree to plan your event, we ask you to sign a detailed contract, which includes all of the details for your big day. This way, we'll know if we miss anything and you'll know you're taken care of. A 50% deposit is due when you sign the contract. This payment reserves and confirms Penzi on your wedding day. Since we are so committed to getting it right, we know how important communication is. Our team will keep in constant communication with you, asking the right questions and getting more information as your event date gets closer. We will also find the perfect vendors for you, so you don't have to worry about it. 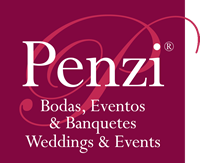 And with Penzi, we really do have an excellent partnership with some of San Miguel's top wedding photographers, salons, spas and wedding venues. 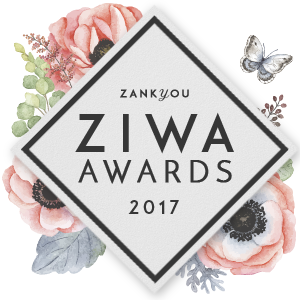 Are you wondering what the main course will taste like at the reception or if the flowers will look like they did in the magazine you showed us? At Penzi, we believe you need to have input every step of the way. As we prepare for your day, we will set up menu tastings, meetings with vendors and sample table settings so you can feel like we've done everything to honor your vision. There you both are looking radiant. You are about to walk down the aisle, and the doors open. Everything looks just like you imagined it. Whether you are in a church, hotel or outdoor wedding venue space, it's not just everything you imagined, it's more. The flowers you wanted are strewn across the aisles, your friends and family are smiling and crying and you are about to change your life forever. This is the moment that makes us feel most proud of what we do. Penzi made our wedding a true fairy tale that we never could have imagined we would actually live through.